Imagine a state of total peace, calm and relaxation. You are totally aware of your thoughts; in fact, you have very few thoughts. You are calm, composed and aware of every breath. You are suffused with a complete sense of well-being and love. You feel connected and in control. This meditative state wipes away all the stresses of the day – you experience a renewed surge of energy – ready to take on whatever may come your way. This absolutely lovely state of being can be achieved through meditation – where you just are – not being driven by anything else but your own. You feel like a spiritual being having a human experience – and not the other way around. “Hardly one exploits the capacity of the Mind because most of the time mind is involved in solving the problems. A stressful mind cannot give justice to the individual but a calm and peaceful mind creates revolution”! – Sadguru Mangeshda. 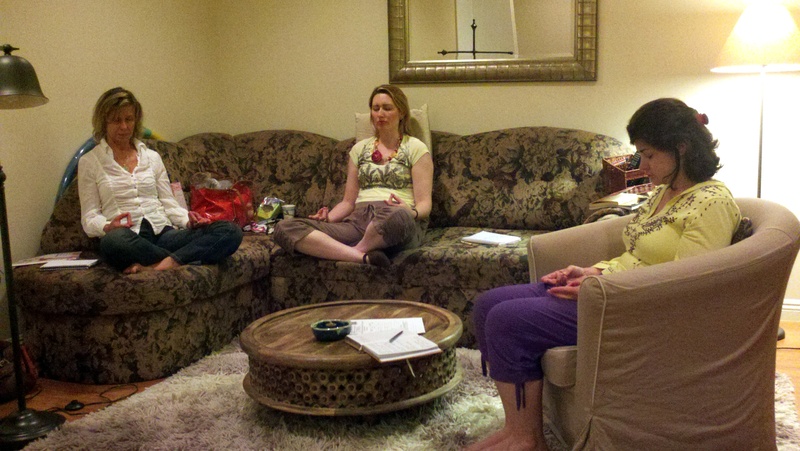 Time: 40 minutes; Meditation 20 minutes; 10 minutes for introduction and final 10 minutes for feedback. Cost: $12/class; Sign up for 10 classes and receive a discount. 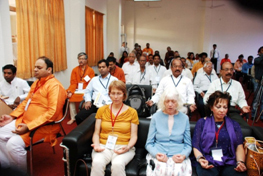 The meditation techniques designed by our Sadguru Sri Sri Mangeshda helps you to easily incorporate into your everyday life, regardless of age or physical condition. Increases Concentration and memory when you realize to be present consciously at all times and in every situation. Calm mind always promotes over all good physical health – lowers high blood pressure, helps overcome insomnia, sleep disorders, mood swings, PMS, racing, restless, agitation, clarity of mind helps clear thinking in turn improves quality of life. Every health condition has a link to our psychology and emotions. There are millions of benefits which cannot be worded, it has to be experienced.